Men's Memes: An American or Japanese wife? An American or Japanese wife? 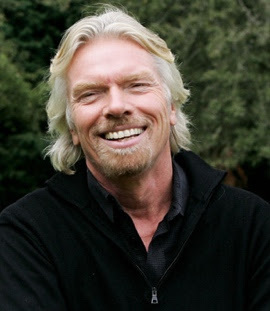 Richard Branson, taken from 'Screw it, lets do it' (Virgin books, 2006). Respect is about how to treat everyone, not just those you want to impress. The Japanese can wait 200 years for a long-term goal for their company. They don't look for the quick buck. They want slow, solid growth. One time I was looking for a partner to take a stake in Virgin music. We talked to many Americans. They wanted to invest but they also wanted to be hands-on, which means closely involved, in the running of the company. We had our own way of working, so we wanted a silent partner. We knew a partner that was too hands-on could cause conflict. I remembered the businessmen from Japan who had treated me so kindly a few years before, so we turned to the East. I asked the Japanese businessman who came to see me how he saw us working together. Good and quiet didn't mean weak. It sounded perfect - and we went with his company." Hey! So this seems to be very interesting. My name is Saad and I live in the capital city of Pakistan-Islamabad. This is the first time I've read your blog-redirected from Mirror of the soul which I think is pretty much inactive now. There is a lot (too much) going wrong around us and what we need to eventually do now is to focus primarily on ourselves (what's inside our minds first). welcome to the site. I hope you find it useful.